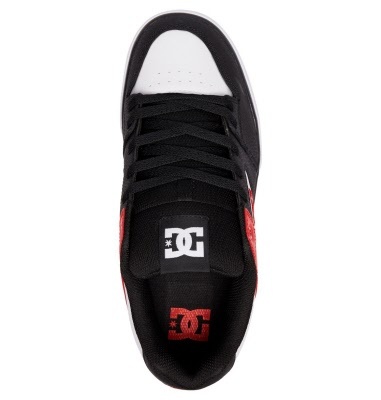 << Back DCs. PURE. BLACK-RED. Sizes: 13. 14. 15. 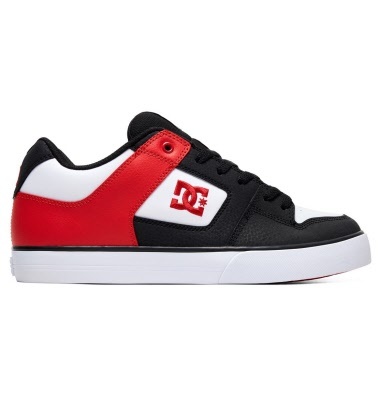 The Pure shoe says it loud and proud with the addition of the classic DC logo wrapped around the heel. Uppers made from durable Leather / Suede with synthetic & textile overlays. ( Trim around the Lace area / heel constructed shiny synthetic. 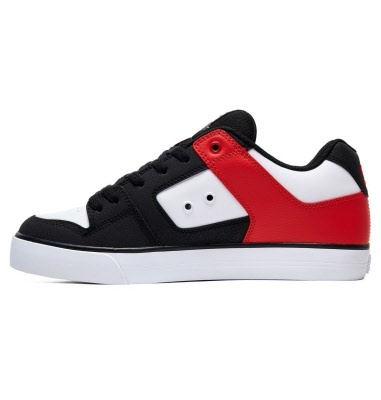 Foam padded tongue & heel collar for extra comfort and support. Uppers have vent holes for breathability and metal eyelets. 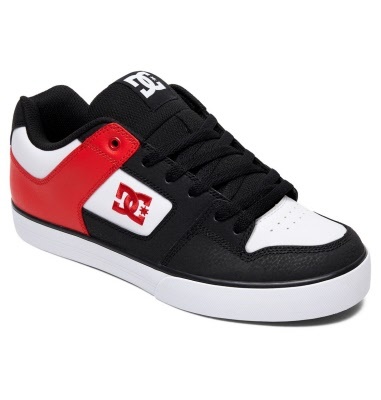 Constructed using wrap cup sole technology using DC`s DGT rubber for performance, durability and grip. 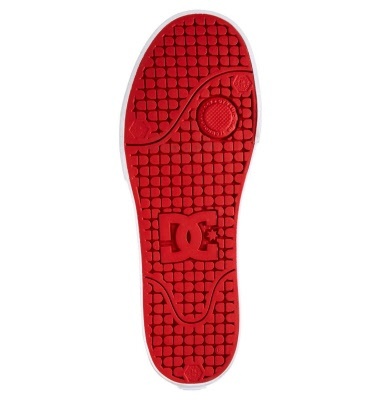 DCs trade marked pill pattern graces the sole. Serious attitude from this shoe.